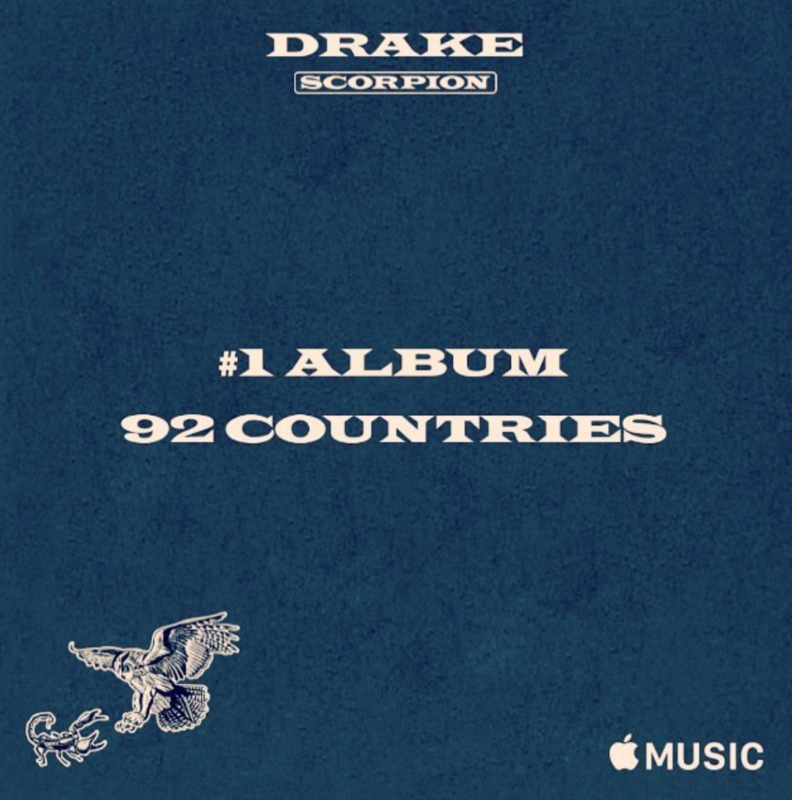 Apple Music was in full promo mode for the release, inserting Drake easter eggs into Siri, and launching a site that lets you make your own Scorpion album cover art with personal photos. Scorpion, which will easily shatter the single-week streaming record of 431 million streams currently held by Post Malone’s Beerbongs & Bentleys, has a strong chance of reaching 1 billion streams in its first week. That total would put the record out of reach for the foreseeable future, or until Drake releases his next project.